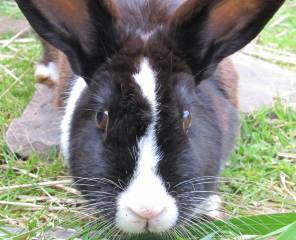 Rabbits & hamster – a boarding for all small animals! 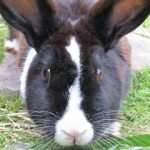 Looking for someone to look after your small pets ? We provide boarding for small animals – rabbits, hamsters, mice, guinea pigs, tortoises, hedgehogs, degus, rats, chinchillas – you name it, we board it! 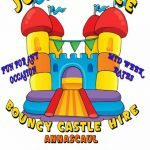 Based in Annascaul, we are the only small animal boarding in County Kerry. Lead by Jessica, a fully qualified and experienced animal carer. We can collect your pets at your home if you like. Barry O’Brien is available 24/7 to assist in all emergencies. Domestic / commercial. All locks supplied and fitted. All Windows / doors repaired. Fogged broken glass replaced. Mobile key cutting. All multi point locks repaired or replaced. Handles hinges, patio rollers, letterboxes etc supplied and fitted. 24/7 emergency call out. We serve Tralee and County Kerry with locksmith services. Ebusdesigns are a one stop shop for design, fabrication and fitting for the architectural metalwork, general fabrication and engineering sectors. 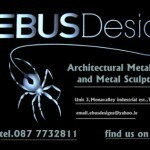 Here at EBUSDESIGNS they cater for all aspects of architectural metalwork, fabrication and welding including stainless steel, mild steel, aluminium, copper and brass. They also cater for the engineering sector including milling, turning, machining, maintenance and repair. Bus operates Thursday, Friday & Saturday collection from village. The Paddy wagon drops you home in the general area of Annascaul, you can also book this bus privately. Collection from the public houses on weekend nights. Sean prior lives in Ballyferriter and loves to sing and play the guitar. His music is a mix of old traditional Irish ballads and country music. He is available for private events, pubs, hotels, anniversaries and church weddings and funerals. A sample of his music is available to listen on his website and Youtube. Dove releases for Weddings, Funerals, Celebrations and Events. For centuries these beautiful white birds have represented peace, faith, hope, love, unity and new beginnings. For weddings, funerals, memorials or any special event, there cannot be a more beautiful and meaningful way to represent it. Creating Memories for a lifetime. Ceremonial White Bird Release. Love comes alive at weddings, Joy soars at special events, and Peace becomes palpable at funerals. We have been repairing small engines for over 25 years, we keep a large number of Lawn Mower service parts. We repair any small petrol engine from Chainsaws, trimmers, generators, and of course Lawn Mowers, Ride on and push. We supply poly-tunnels in a large range of sizes to suit your garden. They are made with a 34 mm galvanised interlocking tubing and 800 gauge semi-opaque plastic. Our tunnels also have 24 inch high sides for extra grow space and doors at either end.We can also construct your polytunnel.We also have have a mini-digger to carry out any minor groundwork you may need. We also have carpentry experience so we can make and deliver potting benches and shelving to order. Solid hand made benches. Made from pressure treated timber and can be made to any requirements, size or shape.